Recent years have seen the rise of messaging apps. This is due to the increase in the usage of smartphones and tablet devices. With these messaging apps, it is easier than ever to communicate with people from your personal and professional life no matter where they are in the world. But along with the convenience that these messaging apps provide comes the potential security and privacy risks. The good thing is there are a lot of messaging apps out there that promise top-notch encryption. 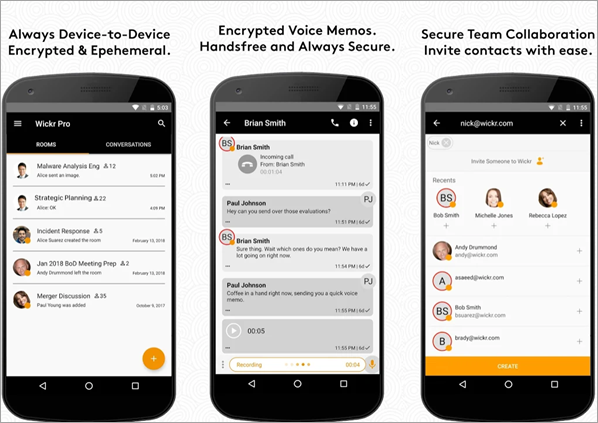 In this article, we discuss eight of the best secure and encrypted messaging apps right now. In the world of activists, Signal is one of the most trusted messaging apps for Android, iOS and Desktop. It is often regarded as a secure platform where people can exchange ideas and conversations. Signal developers utilized a secret end-to-end encryption process that makes sure that your messages and data are safe from outside parties. What is amazing about it is the fact that it is free and user-friendly. The fact that it is an open-source platform strengthens its reputation as one of the best secure, encrypted messaging options out there. What does open source mean? It means that experts will have the freedom to check if the app has any major security flaw. Telegram is one of the most famous encrypted messaging apps out there. It is secure because users are interconnected through an unusually strong data center architecture. It has a simple interface that is easy to use too. One of its most popular features is “secret chats.” Through this function, Telegram users can set a self-destruct option for certain messages. This function can also be used for accounts. 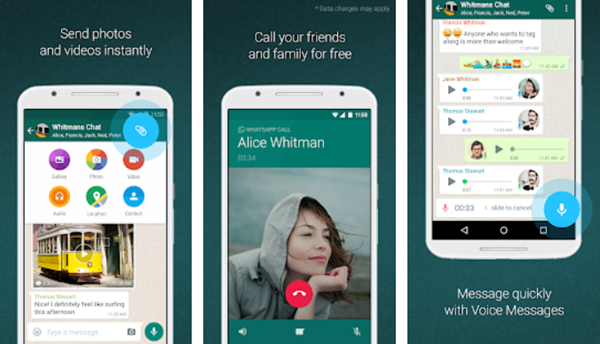 Best of all, Telegram is free. It also does not require you to pay any subscription fees. With more than a billion users in every corner of the globe, WhatsApp is one of the first things that come into people’s minds when they hear “messaging app.” It has a great end-to-end encryption that is comparable to that of Signal. WhatsApp also has a lot of messaging features that would amaze you. 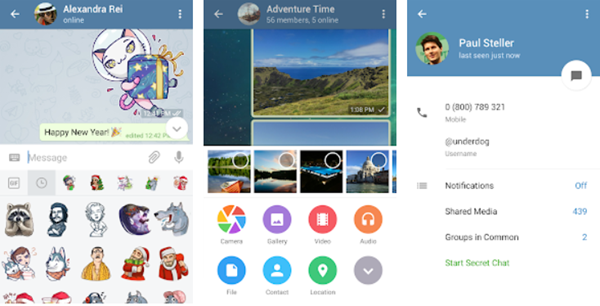 Not only can you send voice messages and photos, you can also post GIFs, create group conversations and do video calls. Due to its popularity, there are many derivative apps from WhatsApp providing useful functions, like WhatsApp manager. 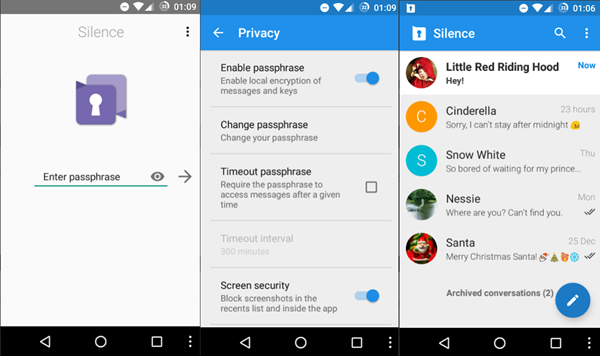 Previously called SMS Secure, Silence utilizes the trusted Axolotl encryption program to protect everything that is in the app. One of the good things about Silence is the fact that you can still communicate with people who do not have the app. It is just like you are sending them texts. In fact, you will not need a server or Internet connection to use it. In case you lose important SMS by mistake, it is still possible to recover text messages from Android phone. One of the few paid apps on this list, Threema promises users that its app will not let your data to be in other people’s hands. You will be sure of this as it does not ask for your email ID or phone number upon registration. Apart from encrypted text messaging, its end-to-end encryption protects status messages, voice calls, group conversations and files. Once a message is delivered to the receiver, messages are deleted from the app’s servers right away. While not as popular as other apps on this list, Dust can definitely compete with its more famous cousins as a secure messaging app. Dust is trusted for its strong encryption. In fact, you can even set your messages to automatically delete after the recipient finishes reading. 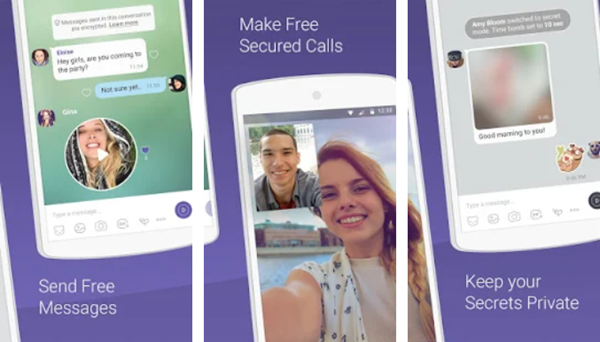 First made available on the iOS, Viber started becoming available to Android devices six years ago. 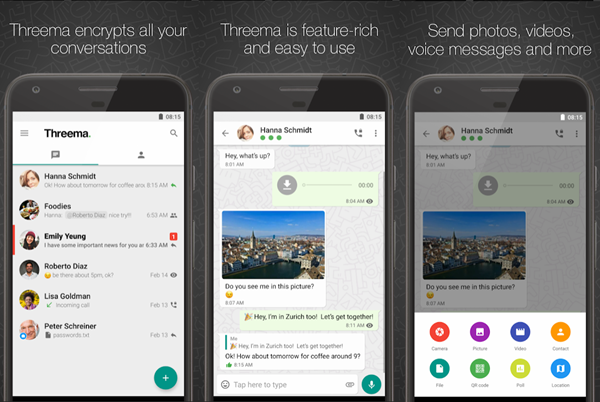 It is one of the messaging apps that is available to the greatest number of operating systems as it can be used on PC, Mac, Android and iOS. One of the unique features of Viber is its color-coded label system. Grey color means that the chat conversation has been encrypted. Green, on the other hand, means that you have encrypted communication with a trusted contact. Red means that the contact had a problem with the authentication key. The app also has game options and media support. The fact that it has more than 800 million users worldwide speaks highly of its security and user friendliness. 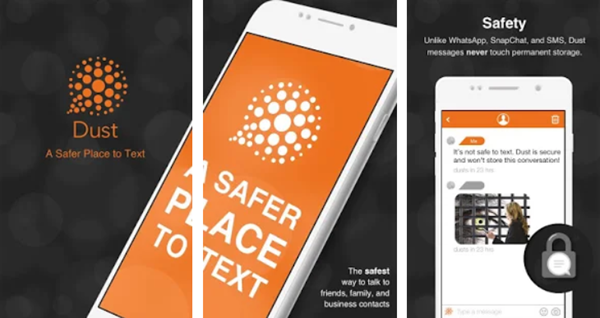 Wickr Me is a free messaging app that also has a self-destructing function. 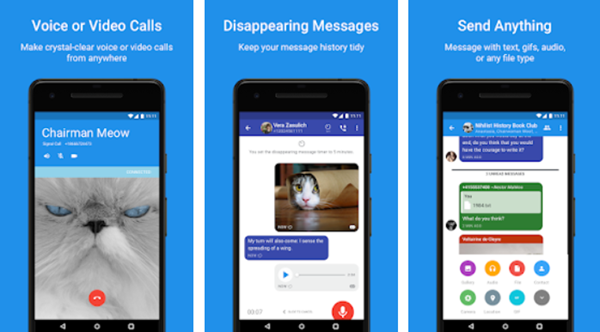 It has the “Shredder” function that deletes all your chats, media and other content. Just make sure you will no longer need them as you can no longer retrieve the content once you “shred” them. 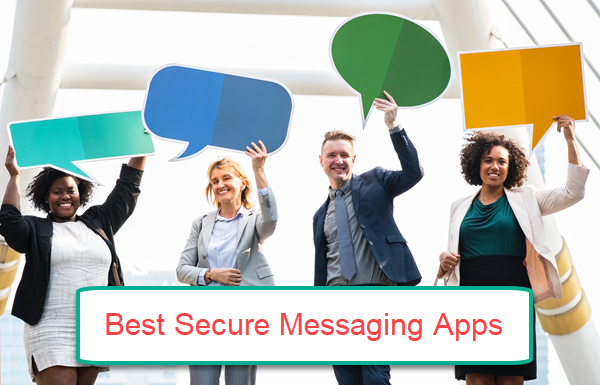 With privacy and security among the top considerations of messaging app users, it is important to know your options. This way, you will be able to ensure that you are using a platform that is not easily penetrated by third-party organizations. Otherwise, your personal data and conversations may be subject to corruption and theft. Did we miss any major secure and encrypted messaging app on this list? Share your favorite one in the comments section beneath this article.